Well done that judge, he's a star. Shame on the parking ticket person, that person should go to jail for causing this poor lady to take needless time from her day to correct this wrongdoing. A bit too zealot. The green guy dropped in from the 70's is a bit too stuffy, thankfully the Judge has a great sense of humor. Love his remark, and I paraphrase a bit "what do you have to say for yourself by taking this wrong path in life". That was gold. She violated the city ordinances for 2 seconds!!!!! 09:59:58!!!! I once had to go to court for a parking ticket,, I pleaded insanity. I said "Your Honor why would anyone in their right mind park in the overtaking lane". Then I asked the judge if he knew the time, when he told me I said "No further questions" The judge said "Do you promisie to tell the truth the whole truth and nothing but the truth?" 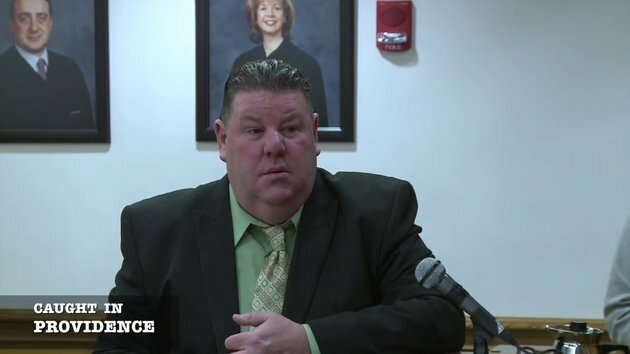 I said "Yes you're ugly, you see that woman in the Jury I'd really like to sleep with her, would you like me to go on or are you going to ask me questions"
The judge Frank Caprio is very frank! Judge does not show mercy. He demostrates common sense. Thanks for posting this one. I kept seeing it on my facebook feed but couldn't bring myself to satisfy the clickbait. #7 We Judges are like that, but don't cross us because we will strike down upon thee with great vengeance and furious anger those who attempt to poison and destroy my brothers and park longer than one minute before the designated time.